Parlour Dictionnaire was a site-specific live-art event which examined the performance of language as a translation of the conceptual into the physical act of speech and writing. It presented new performance-based works from eleven contemporary artists highlighting the uncanny elements within this translation, exploring the engagement with the act of language as a form of ritualised navigation through the shifting threshold between the visible and invisible. 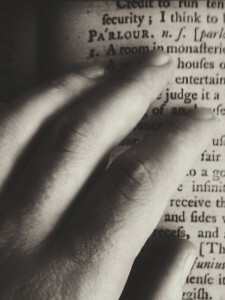 Each artist approached the role of the dictionary as a map of this territory; a physical remnant of the illusory act, exploring its creation and the vision which drove it.